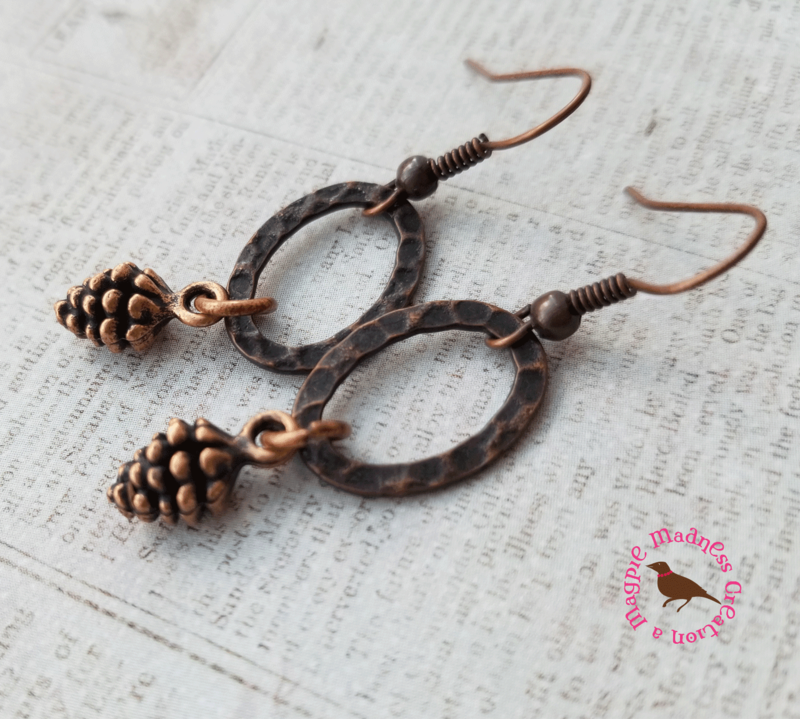 Reminiscent of autumn, my copper pinecone earrings are lightweight and dangly. I suspended the pinecones from antiqued copper hammered oval links. 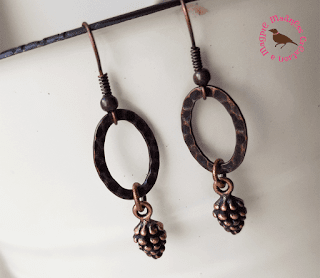 Shown here dangling from copper french hook wires. However, choose your favorite earwire below. Earrings fall about 1.5 inches from the earwires. See more pictures here. I also have a number of necklaces in my shop which will complement beautifully.